I am finally getting this new apartment together. I knew I was going to have to get rid of a bunch of stuff when moving from a fairly large apartment in Queens to a smaller apartment in Manhattan, but I didn't realize how much stuff - I'm still getting rid of things. I'm happy to finally have a desk though - I was going on about getting one two and a half years ago and finally got a nice little secretary desk. And I got a palm tree. 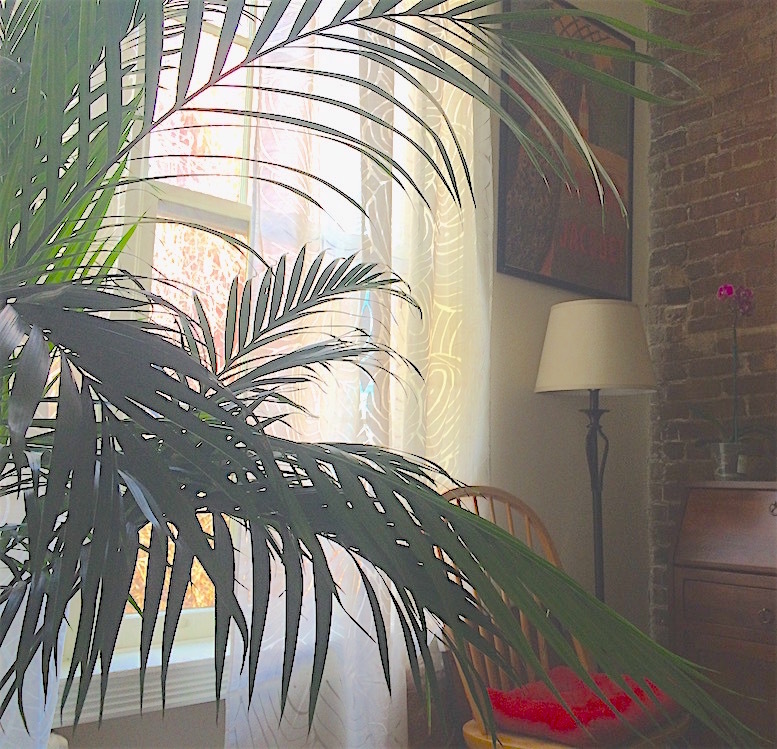 Mainly because palms are non-toxic to cats, as are orchids, which I also bought. 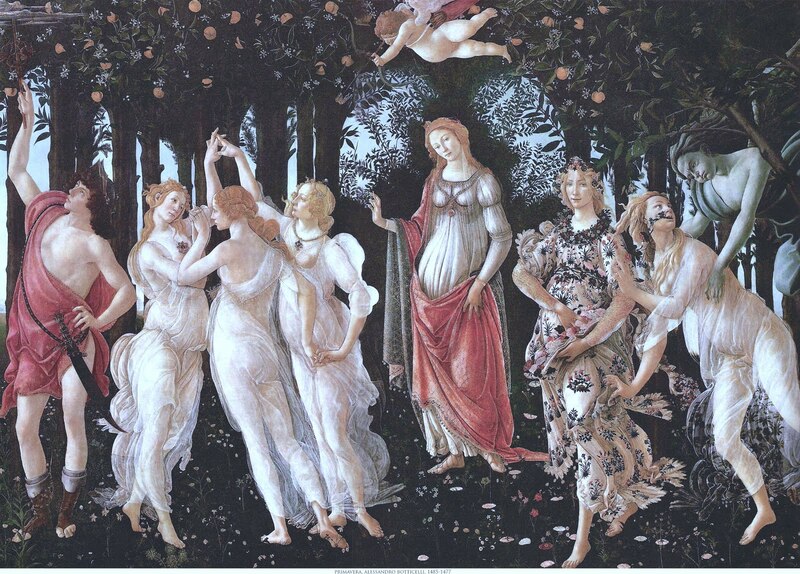 I have this whole floral theme going on in this apartment now, inspired in good part by the print of Botticelli's La Primavera hanging over the real but non-functional fireplace. I've had this print for at least ten years but it's never looked quite so at home as it does here.